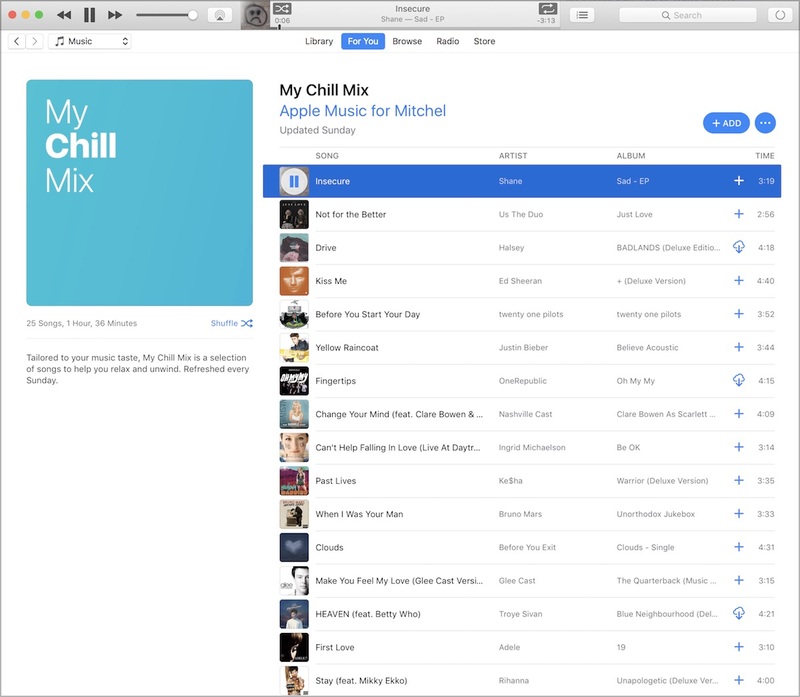 Just over a month after originally appearing for a few Apple Music subscribers on both iOS 10 and the iOS 11 beta, it appears that Apple's new "My Chill Mix" playlist is now expanding to many more users of the music streaming service. My Chill Mix recommends music that's both old and new, curating a list of songs for Apple Music users that are supposed to help them "relax and unwind" as they listen. Because each person's definition of relaxation might differ, Apple Music's My Chill Mix isn't only aimed at low-key music, but could also include rock, hip-hop, techno, and more. Like Apple's other intelligently curated playlists, Apple Music will get better at recommending music for My Chill Mix the more that users listen to music on the app. The playlist will refresh every Sunday and includes 25 tracks, just like Apple Music's other customized playlists. "Tailored to your music taste, My Chill Mix is a selection of songs to help you relax and unwind." Last year, Apple launched its first curated playlists, called "My Favorites Mix" and "My New Music Mix." My Favorites Mix presents users with a collection of their most-listened-to songs every Wednesday, while My New Music Mix recommends the newest music based off of each user's listening history. When iOS 11 launches to the public, there will be a few changes in the Apple Music app, mostly related to a new social feature. 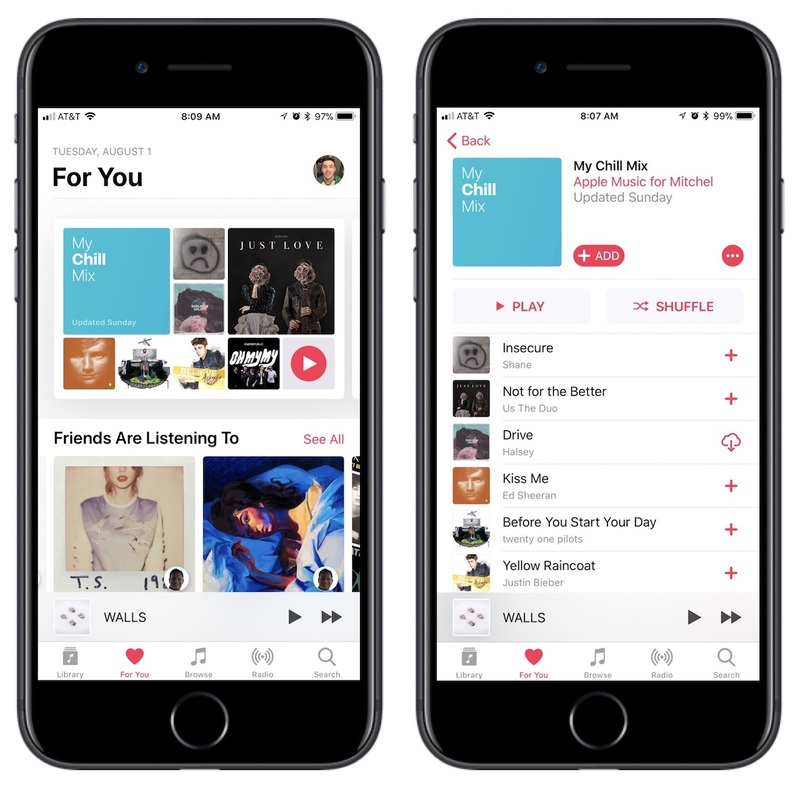 In the "For You" tab, users will be able to create their own Apple Music profile page, share their favorite playlists, and follow friends to see what they're listening to in order to further facilitate new music discovery. Update: One user on Reddit has discovered another custom Apple Music playlist that can be invoked by asking Siri to "play My Party Mix." As of now My Party Mix has yet to appear in the For You tab on Apple Music, but most users have found that they can play the collection through Siri. Musical artists and styles vary among users, as is custom with these playlists, but the common factor appears to be upbeat songs that could be played at a party. That "Chill" mix is just basically full of massive pop artists crap. About as chill as sitting in a fridge for hours, until you basically freeze to death. These are songs aimed only at me, based off my history and what Apple Music thinks I would find "chill," which is largely on point with a few exceptions. The playlist's definition of chill will change for every user, including other genres and musical styles. I’m loving my chill playlist, very chill indeed!